Discussion in 'Houston Texans' started by clutch citizen, Mar 16, 2018. The insiders/writers saying Tyrann Mathieu lost a step are underestimating the fact that he is playing under Romeo Crennel too. Another Brother and red5rocket like this. Or they are pointing out that he’s had 4 knee injuries in five years so he’s slowed down some. Nobody is saying he’s not a good player they are saying he’s not the elite versatile weapon he used to be. Should have kept going with the insiders thoughts on the texans secondary as a whole and how big of a positive effect they believe Tyrann Mathieu would have on it. That's what they are underestimating. Ironically he chose the best fit... which brings it back to him playing under Romeo which will show that even after the knee surgeries the honey badger will still succeed and help elevate this secondary to the top. His mental game on the field will be appreciated more not to mention his leadership. He has a knee injury in 2013 that saw a torn ACL/something else (Mcl maybe). Then one in 2015 that was a clean ACL. Only other injury was a shoulder if I recall correctly. I think he’s in a good spot being young with injuries that athletes routinely recover from fairly easily nowadays. Playing all 16 games last year was HUGE for him, or anyone with knee injuries for that matter, when you think about the physical and psychological impact that has on his recovery. Badger about to have a career year. With his ability in Romeo's scheme this will be fun to watch. It's a one year deal. So they will still probably draft a safety/cb in the 3rd. If he was the same from two years ago, he would be receiving the largest contract for his positon. Rudyc281 and justtxyank like this. houstonstime, Rudyc281, macho GRANDE and 3 others like this. Then you got neon dieon saying hes the best saftey in the league. Eitger way hes still the best saftey weve ever had. Chanmarr, Rudyc281, Cstyle42 and 1 other person like this. This is the type of player that the Cowpolky want. Honestly, even if this turns out like Ed Reed (as some are trying to make it seem like it is) it, I'm okay. Cap hold isn't as much. Length of contract isn't as much. Plus he is a popular player and him choosing Houston over other cities is a big deal. Not to mention the upside... wooh! Rudyc281, htownb4lla, macho GRANDE and 1 other person like this. 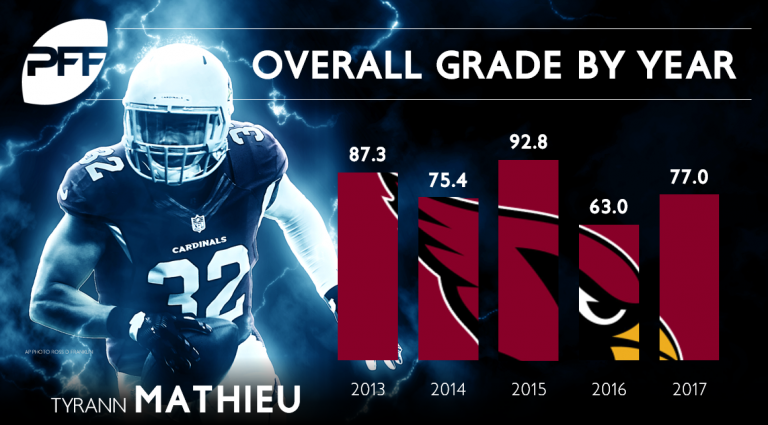 Honey Badger still brings a lot to any defensive backfield. I trust Romeo will utilize him to the max. Rudyc281, macho GRANDE and red5rocket like this. I moseyed on over to their subreddit channel and it was funny as hell. Theyre in such disbelief that he would sign for so little, syaing how they couldve signed him for that much and this and that, and how bad they needed him cause their secondary was equally as bad as ours last year. This is like a Deion signing. Cardinals were bad because Carson Palmer went down. Just like Watson went down for us. So happy we got Honey. I'm hoping he stays as long as JJ. If we get Suh, superteam built. Houston Texans Super Bowl XLVII Champions!!! !